CDD recently completed a study of the future of development in Kendall Square and Central Square through the K2C2 Study Process. The goal was to strengthen these areas as business centers while adding housing and enhancing street-level activity to make daily community life more vibrant. The City’s growth policy document entitled Toward a Sustainable Future, in conjunction with the Zoning Ordinance and zoning map, is the master plan for Cambridge. The range of polices treated in the plan include land use, transportation, housing, economic development and employment, institutions, urban design, open space, and environment and sustainability. 2010 marked the year that the baby boom generation began to turn 65. In anticipation of this coming demographic change, the City has been studying the challenges and opportunities presented by an aging population. Learn more about the planning for aging and the Silver Ribbon Committee. The City’s plan for making the Charles River more accessible is entitled Cambridge Riverfront Plan: Reconnecting People to the Water. The plan sets goals for the riverfront as a whole and offers ideas for improvements in each section of river frontage. The Concord Alewife Plan encourages the evolution of formerly industrial areas in the westernmost sector of Cambridge. Several projects now in process are consistent with the Study goal of mixed-use development that emphasizes housing with limited parking and stormwater management features. There are many kinds of planning—for finances, for health care, or for almost any human endeavor. The Community Development Department engages in what is typically considered to be” traditional” land use planning. Cambridge requires a complex and extensive planning effort due to the high density of people and activities found in a relatively small area, as well as the amount and rate of change the community has been undergoing over the last few decades. As a result, Cambridge undertakes more types of planning than most cities of around 100,000 residents. While there is constant interaction among all the specialized planning groups at CDD (community planning including urban design, zoning and development, open space planning and park design, neighborhood planning; transportation planning; climate and energy, economic development; and housing) the work described in this section of the web site covers general land use planning endeavors. Planning and urban design staff members work on many fronts to help the Cambridge community—residents, businesses, and institutions-- prepare for future growth and change. Initiatives include near-term projects, such as review of buildings seeking special permits from the Planning Board. Longer-term projects include city-wide planning studies such as the Kendall Square/Central Square Planning Study and Toward a Sustainable Future, which is the city’s master plan with its statements of policies for growth over time. City staff members advise the Planning Board about the impact of development proposals with in the context of the City’s long term plans, and they facilitate public participation, urban design review, and analysis of special permit applications and proposed zoning ordinance amendments. These planning activities are coordinated with other City departments and institutional, state and federal agency participants. Such planning requires a set of preliminary assessments and strategies to ensure that all participants, especially low- and moderate-income residents, are involved in the process, from setting goals and priorities through implementation. Projects may be initiated by the City, neighborhood groups or non-profit organizations in response to identified needs of the neighborhood. Planning work may also involve integrating into the City‘s plans the goals of other entities, such as institutions, developers or other government agencies. The planning staff works in an interdisciplinary fashion with other Community Development staff on topics ranging from the review of green building to promoting healthy retail environments throughout the city. Planning initiatives include multi-purpose planning work for major projects such as the Kendall Square/Central Square project, with outcomes such as master plans and rezoning proposals. Development of master plans, such as the Eastern Cambridge Planning Study, Concord Alewife Planning Study, and the Rooftop Mechanicals Task Force. Creation of design guidelines, such as the Central Square and Harvard Square Overlay District Guidelines and the Eastern Cambridge Design Guidelines. Design and implementation of public space improvements, including Central Square, Lechmere Canal, Quincy Square and Lafayette Square. For more information please contact Melissa Peters, Director of Community Planning, at 617/349-4605 or mpeters@cambridgema.gov. The Kendall Square/Central Square Planning Study has an important goal of making better connections between those two major squares. Lafayette Square, pictured above, is a plaza at the confluence of Main Street and Massachusetts Avenue, midway between the two larger squares. Also known as Jill Brown-Rhone Park, Lafayette Square has become a welcome new place for people to get together over a cup of coffee or lunch from abutting cafes and restaurants. Tto better understand the needs of educational institutions and how these mesh with city plans, each year the Planning Board conducts an "joint review of university and community needs and plans." The review takes two forms. Four schools - Cambridge College, Harvard University, Lesley University, and MIT - first submit a Town Gown Annual Report, which includes a variety of statistics about the population and physical planning characteristics of each campus. Each school's planning staff then follow up the report with a presentation to the Cambridge Planning Board. Neighborhood planning informs the City's overall planning work through ongoing interaction and discussion with community members at the neighborhood level. Studies of neighborhoods also provide an opportunity to apply Cambridge's citywide planning goals in a local context. 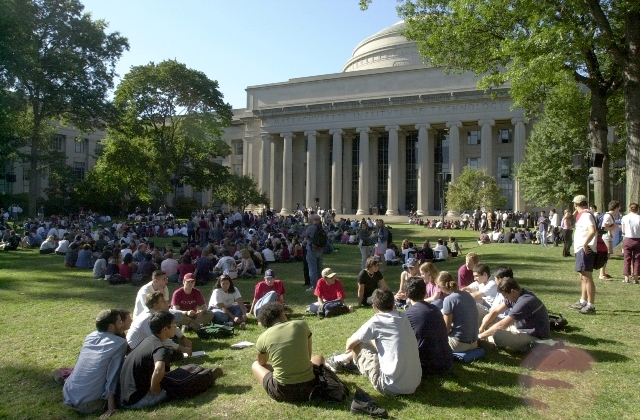 For planning purposes, Cambridge is organized into thirteen neighborhoods, and CDD has conducted comprehensive planning studies for twelve, the exception being the Area 2 which falls within the MIT campus. The Cambridge Riverfront Plan anticipates improving access to the river from neighborhoods all along the length of the city. The most active portion of the riverfront at present is in eastern Cambridge, where North Point continues to be made more accessible by the new north bank bridge leading from EF Center over the rail lines to Charlestown, with access improvements to the Longfellow Bridge, and with better connections from Broad Canal to the Charles.